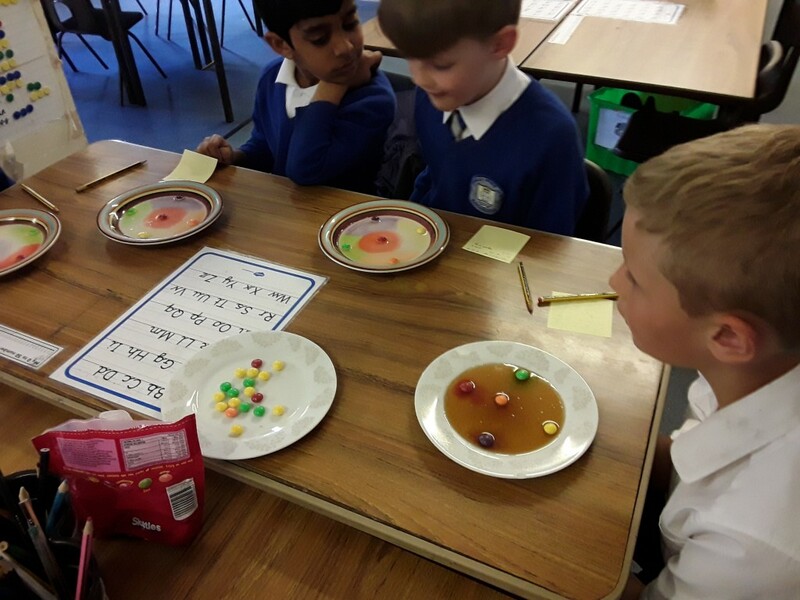 In STEM club we have been looking at what happens to sweets in different liquids. 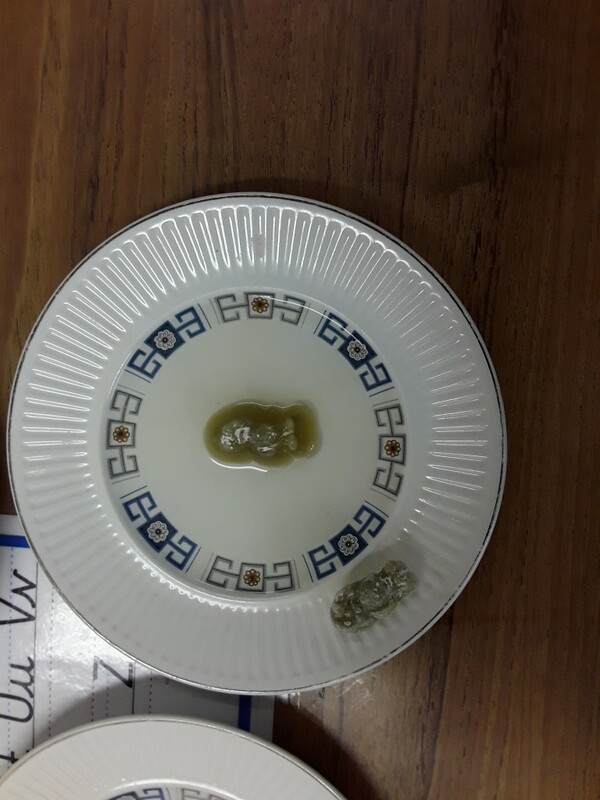 We put a jelly baby in water to see what would happen to it. 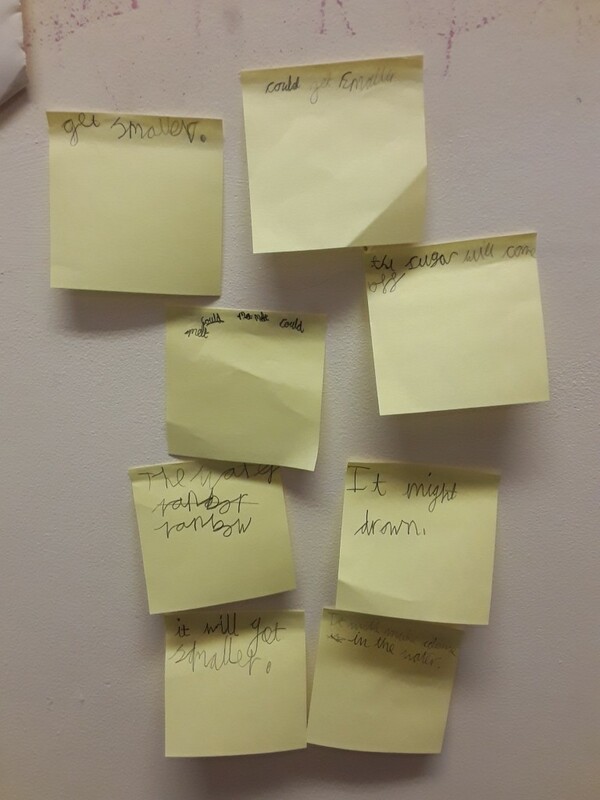 We made predictions about what we think would happen. 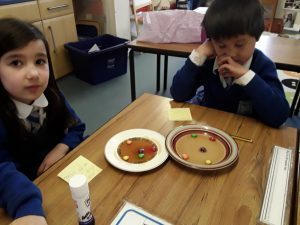 We found that the jelly baby got bigger because it absorbed the water. We tested skittles to see what would happen to them in different liquids. 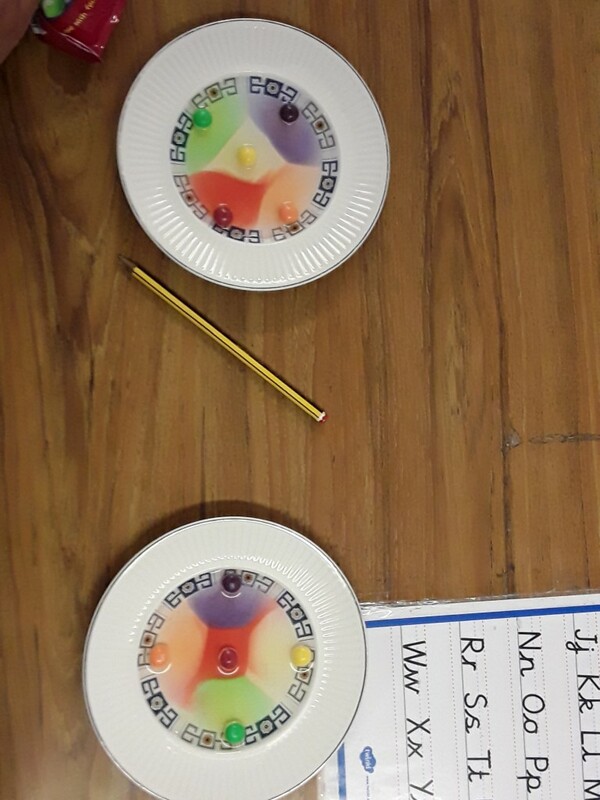 We tested them in water first. 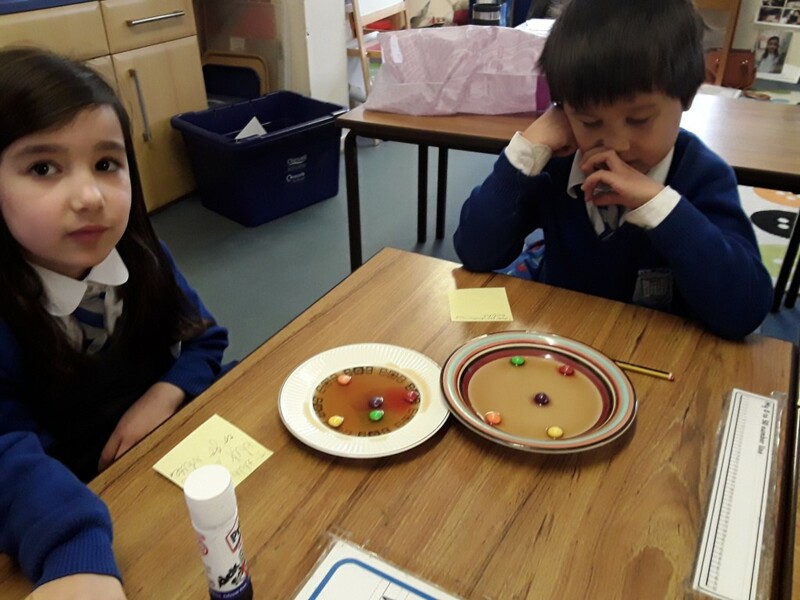 Then we tried them in soda water, oil, milk, coke and vinegar. 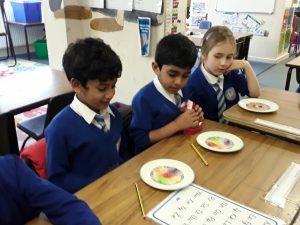 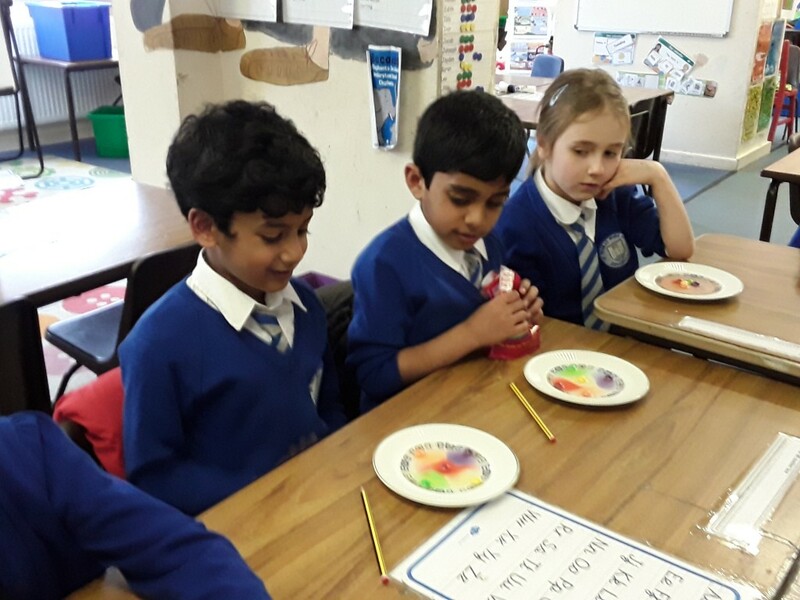 We found that the vinegar made the colour run the quickest and the oil took the longest to make the colour run from the skittles.